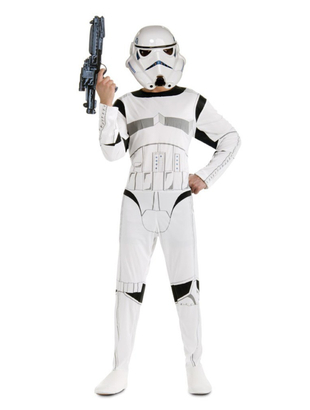 The Adult Stormtrooper costume includes a white printed jumpsuit with attached boot tops. 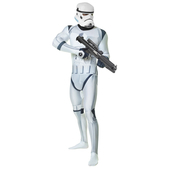 To complete the Star Wars costume a Stormtrooper face mask is also included. 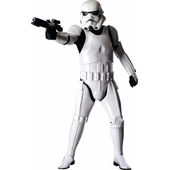 The half face mask features elastic band to hold the mask securely onto your face and covers the front of the Stormtroopers face only. 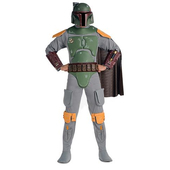 Please note gun not included but similar guns may be purchased separately.